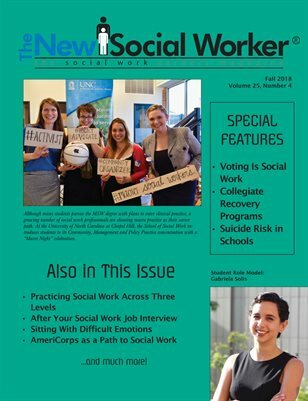 The New Social Worker, Fall 2018, Vol. 25, No. 4. Highlights: Voting Is Social Work campaign, collegiate recovery programs, suicide risk in schools, social work job interview follow-up, social work across three levels.